Chayanan Jewelry Manufacture Co.,Ltd. - Fine Gold Jewellery 14K 10K, Jewelry Sterling Silver 925 Jewellery, Semi Precious Stones, Diamonds, Cubic Zirconia. Company Profile: Fine Gold Jewellery 14K 10K, Jewelry Sterling Silver 925 Jewellery, Semi Precious Stones, Diamonds, Cubic Zirconia. Engaged mainly in the design, manufacture and marketing of jewellery, both for local and export markets. With our experience, we guarantee of prompt honest and regular services of our products to our customers. It is widely regarded as world - leader in fine jewellery manufacture and exports its products worldwide. A substantial proportion of its jewellery products is directed at the middle to upper segments of its markets. Specializes in fine gold jewellery in 14K, 10K, 7K together with sterling silver 925 jewellery manufactured with color stones ; precious and semi-precious stones set with diamond or cubic zirconia. 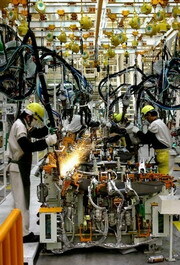 The company, which has the most modern production facilities, it's proud of its products. We have full design capabilities plus direct stone souring, stone cutting and etc. Our highest quality producing and personality of the metals are exalted in this type of workmanship. Also our price is naturally attractive at a very reasonable and hope you will take the opportunity to try it.